This is the Ezpeleta Retro Geometric Print Folding Umbrella, a superb ladies folding umbrella with matching sleeve. 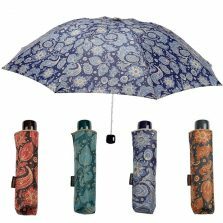 This smart ladies auto-open compact umbrella really is a very high quality product with maximum attention to detail. 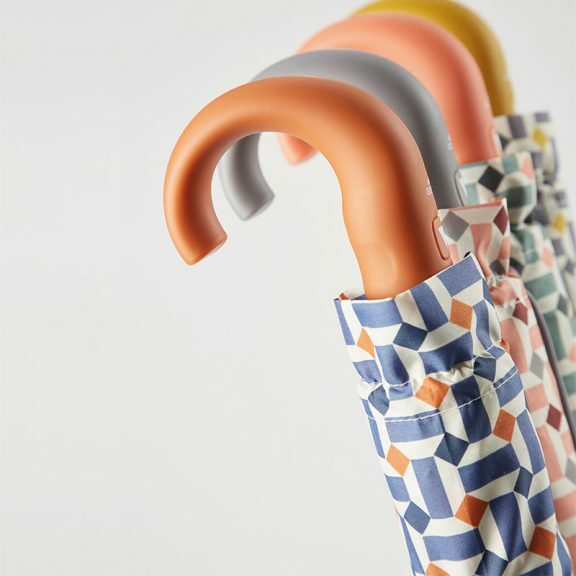 The neat moulded crook handle has ergonomic shaping, making it easier to hold. 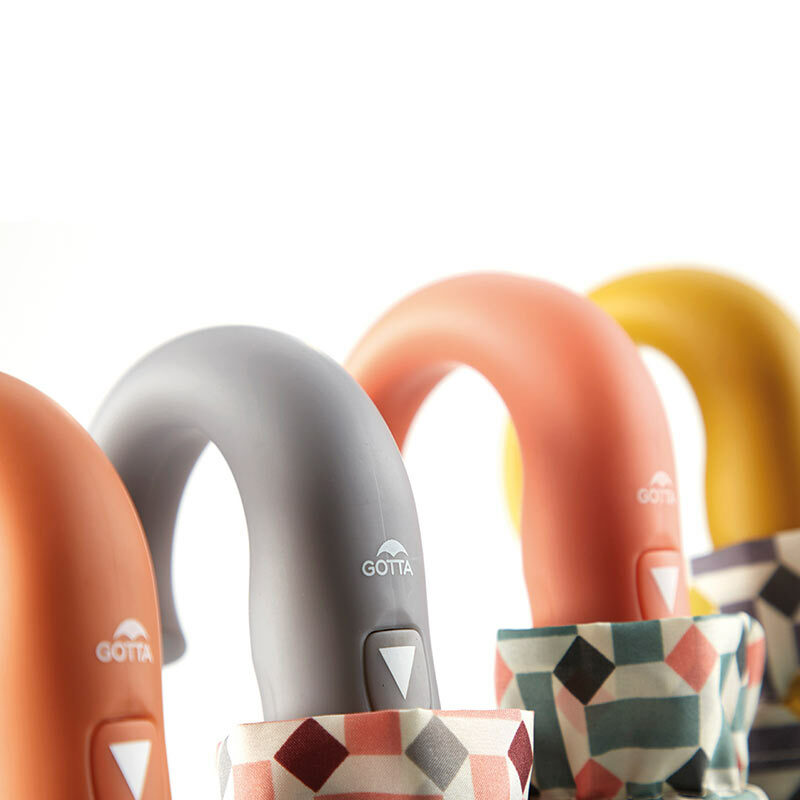 What’s more, the handle is also where the automatic opening button is located. 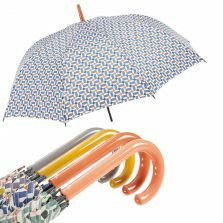 The umbrella opens easily at the push of the button and reveals a three coloured geometric pattern. 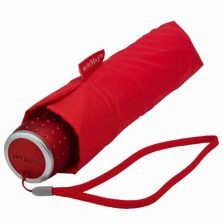 The umbrella is kept neatly folded with the contrasting tie wrap which is the same colour as the handle, finished with neat branded rubber tab. 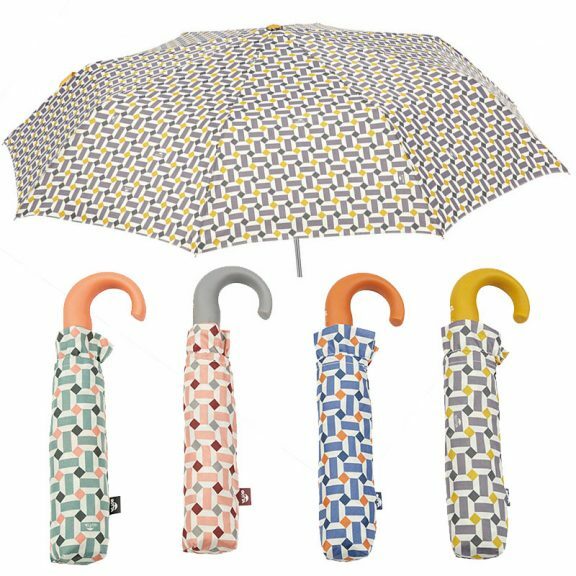 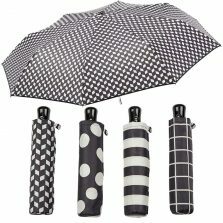 This Ezpeleta Retro Geometric Print Folding Umbrella is available in 4 different colourways. 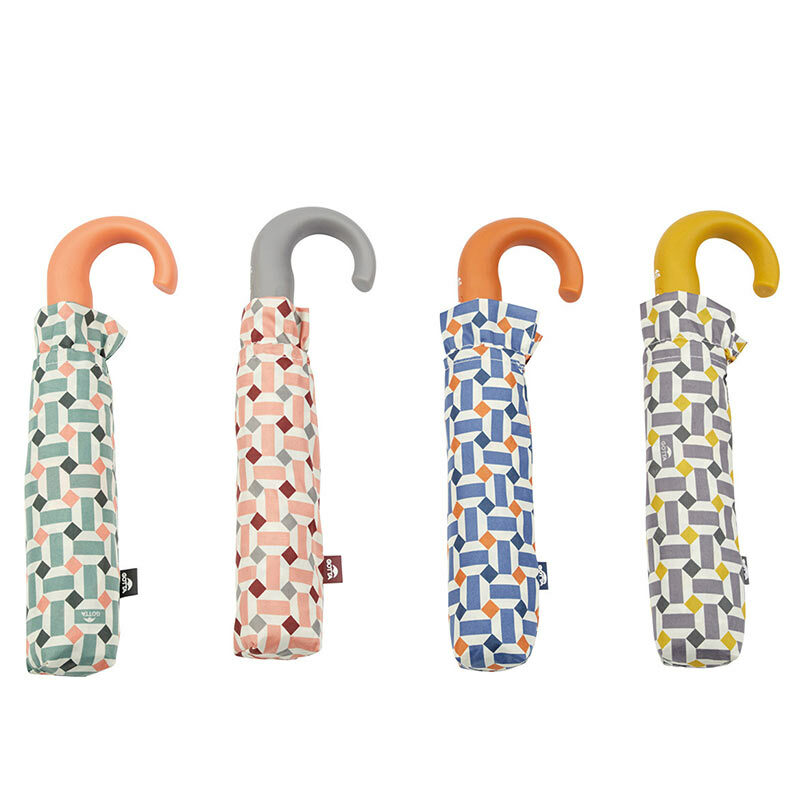 Green and Coral: Soft Spring Green together with a deep Coral canopy and Coral handle. 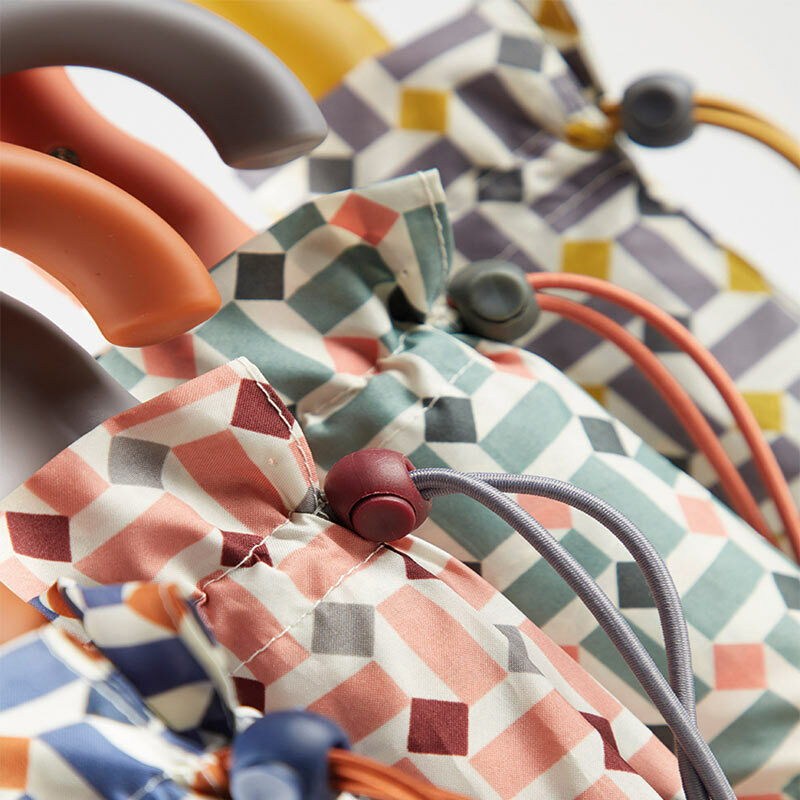 Reminiscent of days in the sunshine. 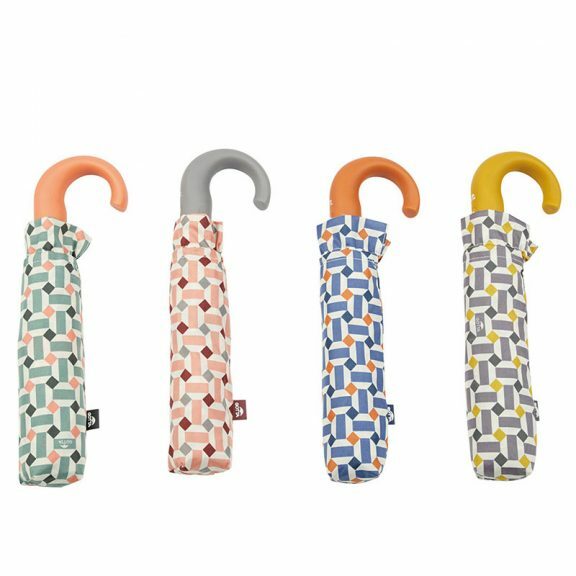 Pink and Grey: A light Grey mixed with Maroon and a Salmon Pink design on the canopy with smart Grey handle. 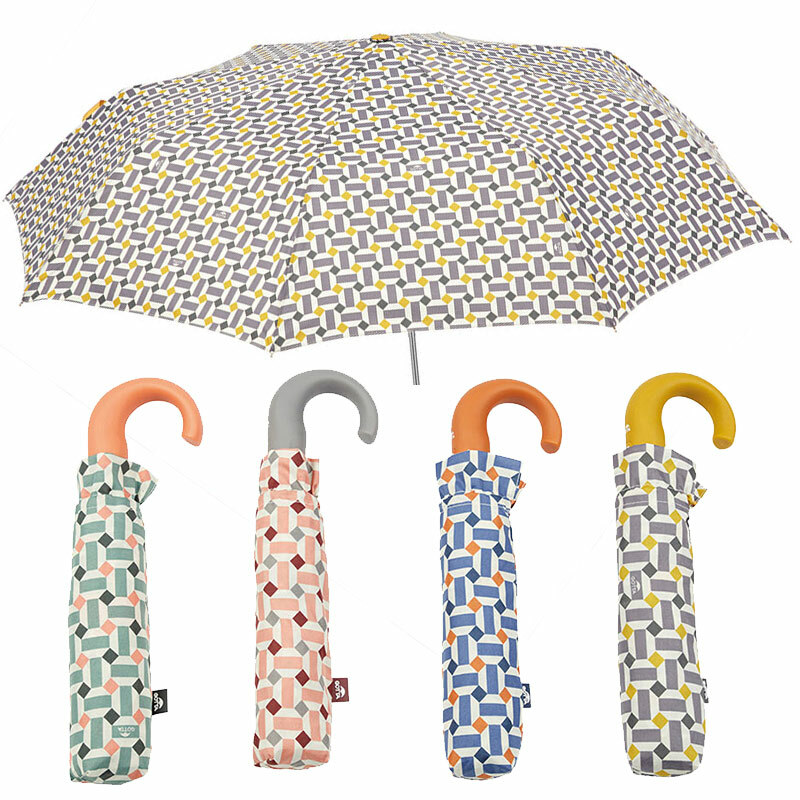 Blue and Terracotta: Smart Blues with squares of Terracotta give this canopy an almost nautical feel. Handle is in terracotta. 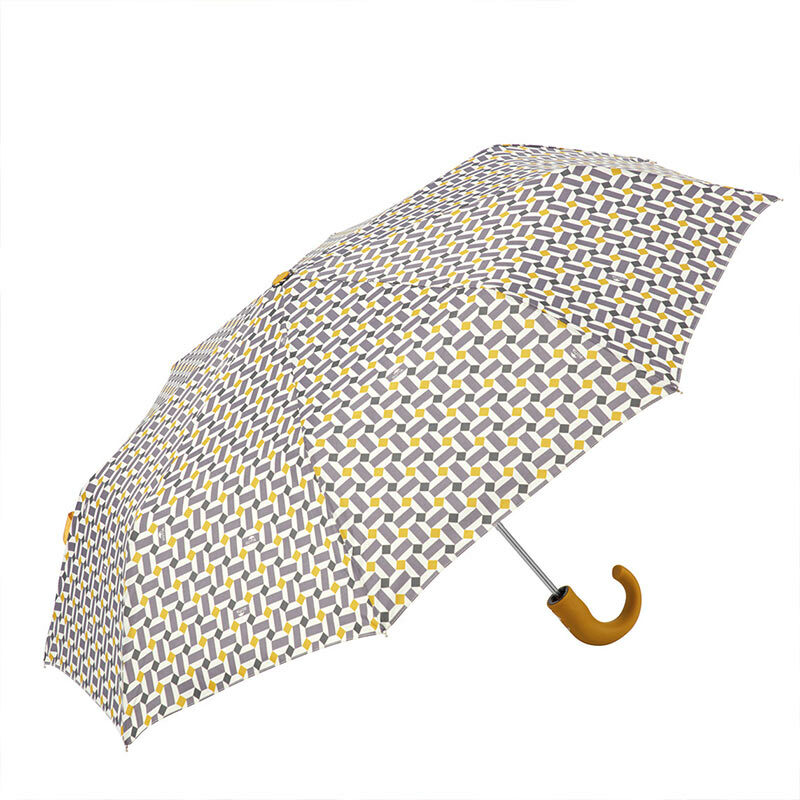 Grey and Mustard: The canopy of this umbrella has a Grey and Mustard geometric design and is finished with a Mustard handle.